Are inclusive sports days possible? During what is perhaps the sportiest time of year, Gareth D Morewood investigates whether it’s possible for a school sports day to be an inclusive event. I think it’s safe to say that taking part in sport should be encouraged in schools. It’s an important part of having a healthy lifestyle, especially for children and young people. Not only because of physical health, but exercise can also alleviate anxiety and take the focus away from solely academic success and develop skills useful for other areas of life – indeed a broad and balanced curriculum should include some physical exercise. Sporting achievement is celebrated in society: footballers are seen as role models and you’ll be hard pressed to find someone who wasn’t watching either the Grand Prix, Wimbledon, Open Golf, Test Cricket or the European football over the last few weeks. In SENCology we have previously considered inclusion in the wider sense, but what about how inclusive sport is in schools? What does inclusive mean when it comes to sports? 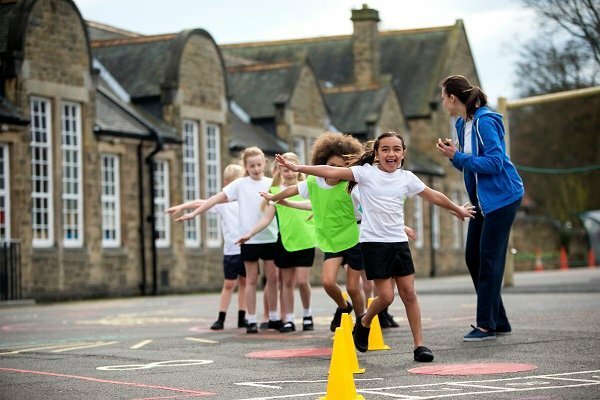 There have been numerous stories recently of school sports days where pupils have purposefully let a child with SEN win a running race, and this has prompted some very interesting discussions. While many people took to social media to praise the pupils’ actions, comedian Laurence Clark, in his article on the BBC, asks whether ‘letting’ children with SEN win is a good idea. The fact that pupils have to let a pupil with SEN win shows that sports day isn’t inclusive, and I think almost everyone I work with would consider this to be significantly ‘counter-productive’ with regard to the wider inclusive agenda and promotion of equality. But then how can we make an event that is about physical ability inclusive? Perhaps looking at the biggest sports day in the world will offer a solution. After the Paralympic games in the UK in 2012 there was a lot of discussion about why it’s a separate event, and whether it should be. In his article ‘Combining the Paralympics and Olympics would be a disaster. Here's why’, Peter White, the BBC’s disability affairs correspondent, argues that if the two events were merged the Paralympics would barely get any air time on television as it would have to compete directly with the Olympics. Another of his points is that in order to accommodate both events, some sports, and at least certain categories (swimming has 14 categories to accommodate a large range of physical differences), would be cut. On the other side of the coin, Nick Frost, from Last Word On Sports, argues that Olympic and Paralympic Games should be merged as ‘by combining the Olympic and Paralympic games, disabled athletes would be seen on an equal footing as their able-bodied team mates all around the world’. One point in Peter White’s article is that ‘to achieve fairness, like has to compete with like.’ In the examples that have made the news, the children with SEN have no chance of winning when competing in a running race against their peers. Yes, it is much nicer to see other children acknowledging this with friendliness rather than prejudice, but is it also encouraging children to look at pupils with SEN with pity and assume that they can’t achieve? Sport is all about playing to your strengths, so why not choose one of the many sports now featured at the Paralympics where children with SEN can compete on an even footing? You could even get creative and invent a game that you know all your pupils could participate in and enjoy. It doesn’t mean the child with SEN always has to win, but he or she can compete just like anyone else. Schools would be hard pressed to make every event at a school sports day inclusive, unless they’re willing to undertake producing a whole Paralympic games themselves, but depending on your cohort, could you get creative with sports day? There’s no use having sport for children with SEN available only once a year or when international games are being held. Going to wheelchair basketball practice needs to be as common as going to football or netball practice. One way to keep inspiration going is to increase awareness of disabled athletes at all times of the year. Recently reading the BBC website, I noticed there are many stories on Andy Murray’s exceptional performance at Wimbledon, and some coverage of Heather Watson, however, I had to look quite hard for stories about the double champion, Gordon Reid. Is our media partly to blame for this division with regard to equality? It doesn’t take much effort to find stories about positive examples regarding inclusive sport. However, rather than one-offs and separate stories of specific circumstances, how can we try make systems more inclusive from the start? A report by the English Federation for Disability Sport found that 51% of disabled students do not enjoy PE. Additionally, key findings in the report showed that 70% of those surveyed (the survey was of 476 disabled people) said that they wanted to do more sport, 64% said they would prefer to take part in sport and physical activity with a mix of disabled and non-disabled people, and 60% claimed that either a lack of awareness of opportunities or a lack of available opportunities is what prevents them from taking part in sport and physical activity. Although a very complex debate, I do think we need to consider more carefully the questions about inclusive sport, both in light of the new curriculum and qualifications, but also with regard to participation and engagement. Even this week, news about disabled people in the UK being treated like ‘second class citizens’ hits the headlines. I think we can not only think about this issue more, but we can DO more as well.